Heather's Craft Corner: Furry Baby Booties Pattern - Now Available! 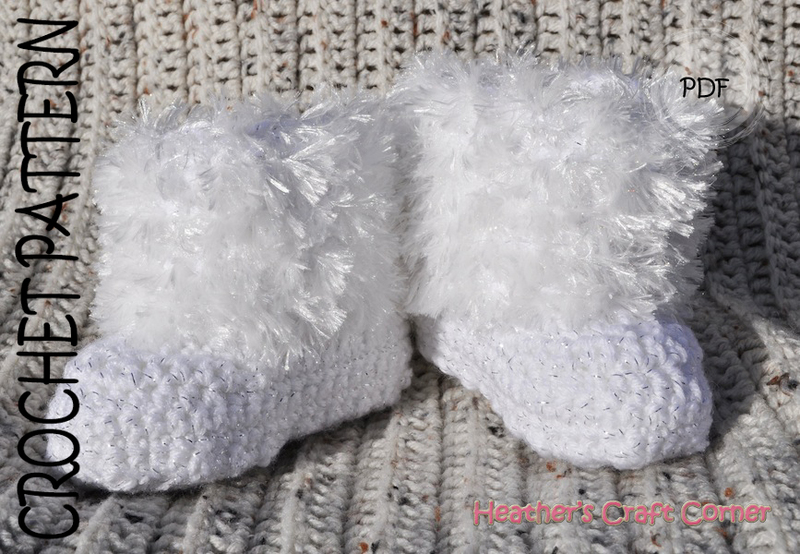 Furry Baby Booties Pattern - Now Available! I am super excited about these new booties! These are my Furry Baby Booties (I know, the name is kind of funny). This pattern includes both styles in a single pattern. 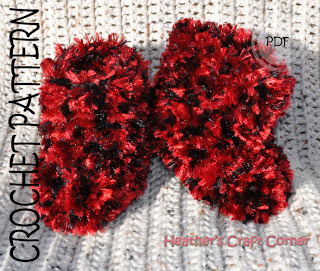 One pattern, twice the fuzzy cuteness!